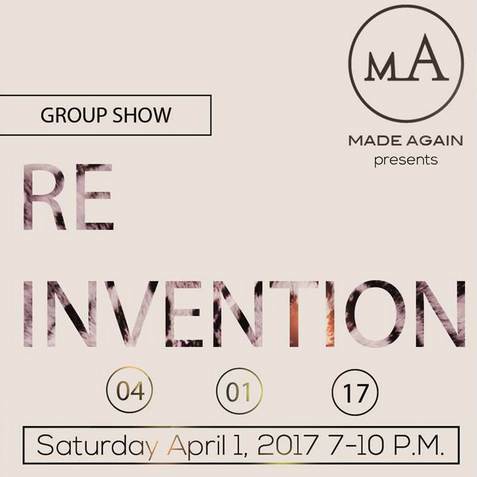 Opening Reception: Saturday April 1 from 7 to 10 p.m.
“Reinvention” is a group show featuring art by Made Again's creative team: Margeau Bull, Sara Lehtman and Anna Scarbrough. “Reinvention” embodies a collection of work inspired by the cycles lives take. Inspired by the past and transforming into the present, each piece expresses a part of the artist's individual story and the journey he or she takes.